Three simple ideas for creating an amazing cheese platter! 1.) The cheddar flight. Wine isn’t the only thing that gets better with age. Offer your guests a plate of delicious, aged cheddar cheese. Black Creek’s premium cheddar cheese is available aged nine months, two or three years and features a richly-sharp flavor. To create this platter, present the cheese on a cutting board, and allow your guests to cut their own. Adorn each variety with number-shaped birthday candles to show their ages. For example, use a “9″ for the nine-month offering. If you would like to serve your cheddar in cubes, cut the cubes in different sizes, start small at nine months and get bigger as you reach three years. Plate pairings: Aged cheddar isn’t only a delectable treat, it is also a wonderful partner for a variety of wine and beer pairings. A full-bodied merlot will complement your cheddar cheese plate perfectly, and your guests will also enjoy pairing this cheese with a zinfandel, stout or brandy. 2.) Tour of Europe. Italy is known for its many cheeses, but what about France, Denmark or Holland? You may not know much about the cheeses available from these countries and chances are your guests don’t either. Create a “Tour of Europe” platter and wow your guests with an offering that will pique their curiosity and delight their taste buds. French cheeses like brie and camembert offer a soft texture with a memorable flavor. From there take your guests to Holland and Denmark, for blue cheese, extra-aged Gouda or the salty, nutty flavor of Edam. Add flags to your cheese offerings denoting each one’s nationality. Your guests will quickly tour the continent and try them all. Plate pairings: A tour of Europe will offer your guests many different tastes and several beverages can be paired with this plate including stouts, ports and cabernets. If you’re looking to add another country to your tour, visit www.dcicheeseco.com/cheese/region for a variety of ideas. 3.) Flavor within flavor. If you want to offer a cheese plate with a look and feel all its own, Great Midwest flavored jacks and cheddars are the perfect answer. 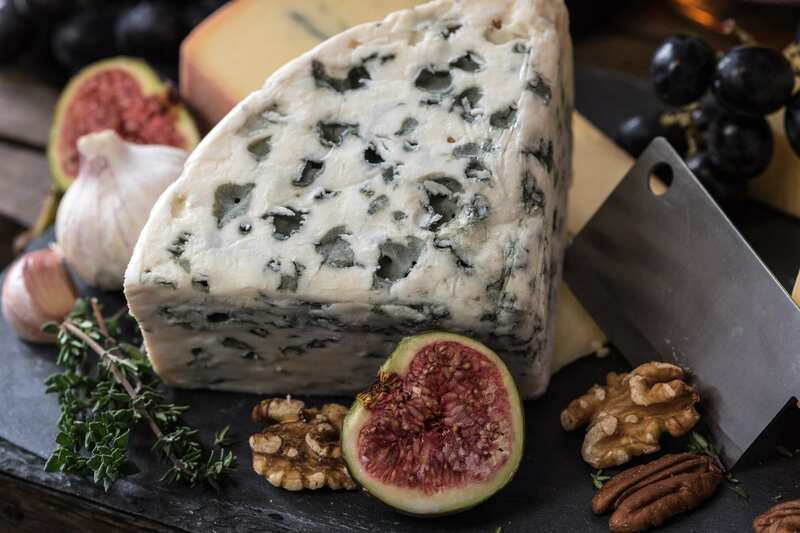 Each cheese’s natural flavor is complemented with the addition of flavor infusions ranging from sweet (blueberries) to spicy (jalapeños) to savory (horseradish). Offer your guests a tray featuring fruit-filled cheeses on one side and spicy cheeses – loaded with jalapenos, habaneros or chipotle – on the other. Garnish with the fresh versions of the appropriate fruits or peppers. Your guests will love your presentation and the beautiful colors such a platter provides. Plate pairings: A plate of flavored jacks and cheddars offers guests several different tastes and is perfectly complemented by a wide array of beers. If you plan on serving a plate featuring spicy cheeses, offer your guests a riesling or iced tea as well. Creating that perfect cheese tray is simple once you have a theme. Let your imagination guide you and you will be rewarded with a platter that expresses your creativity and wows your guests.